Designer and Luxury Dog Clothing, Carry Bags, and More! 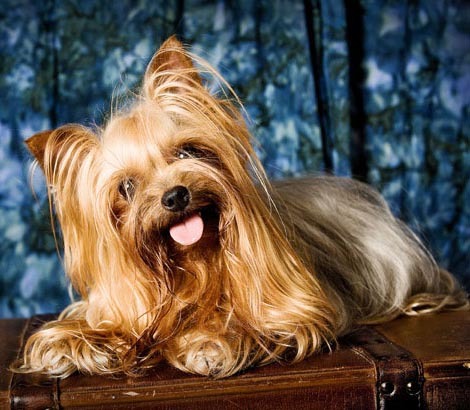 Sassy Yorkie Boutique offers the cutest and highest quality yorkie and small dog clothing and accessories on the market today. Shop from selections of human quality couture formal gowns and designer dresses by Belle Diva Couture and adorable yorkie dresses and sweaters designed by Oscar Newman. Pamper your furbaby with hair bows, princess tiaras, and doggy hats custom made for those special outfits. Irresistible small dog harnesses and collars with lots of bling finish out every outfit along with cutting edge designer carry bags and slings suitable for every special outing. If you have a yorkie, maltese, chihuahua, poodle or any other small dog, take your time and look around our "awww" inspiring collection.